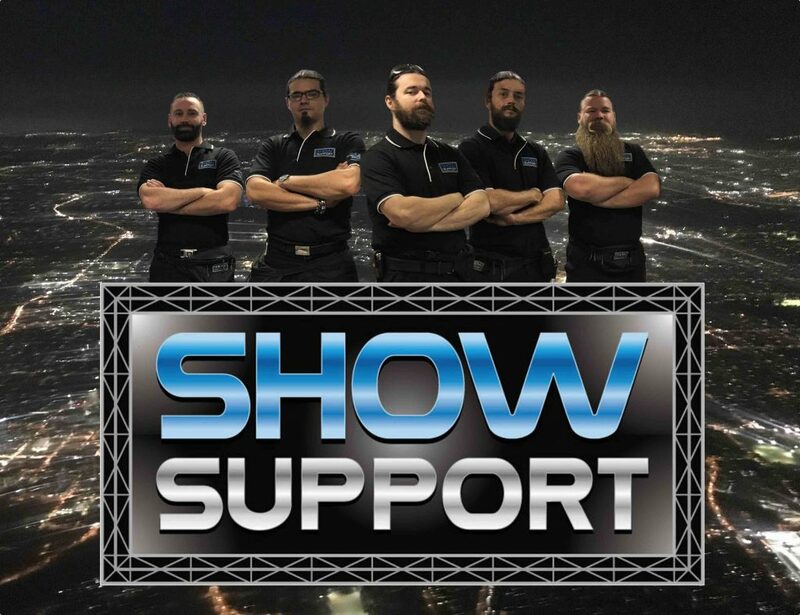 Show Support is excited to announce the addition of our latest service, Show Support Premium. When placing a booking for a Premium call out, clients can expect the very best within our industry. Premium Show Support crew come with a wealth of experience, know how and a positive, pro-active attitude and can also take a leadership role on your job if required. The Premium service has been running for three months to test the market with great success and feedback. Clients who have utilised this service to date have done so for a variety of reasons. The client could not be onsite and required their job to be supervised to a high level of detail. In busy periods within our industry where the talent available was scarce and use of our Premium Service ensured the best individuals would be available to complete their job. Where only the very best would do. Clients using our Premium Service also get a variety of benefits over and above the operational support provided by Show Support, including pre and post job follow up, Premium Service Guarantee and the peace of mind that their job is in good hands. Our Premium crew are the most asked for by name individuals on our books, in many cases, they have operated their own businesses, held senior positions within A/V event organisations, or have been recognised as top freelancers or contractors within our industry. The cost of our Premium Service is $65 per hour on a minimum 4 hour call out. Clients can ask for Premium Crew by name when placing a Premium booking or give Show Support the specifics of the job and allow Show Support to provide the most suitable Premium Crew member for the requirements.